Learning at home is a vital part of your child's education. There are many great activities that you can do with your child that really support what they are doing in school. Please attend our family nights and PT4KIDS meetings so we can share more of these activities with you. The following links and ideas are just a start! READ, READ, READ!!!! Please read with your child as much as possible. Research recommends at least 15 minutes a day. Reading to your child at any age is a great way to help them with reading skills and vocabulary. Listening to your child read and practice at his or her skill level is also very beneficial to practice fluency and build reading confidence! Math facts can be practiced every day! If students are fluent and know the math facts appropriate for his/her grade level, learning new math skills will be much easier for them. Practicing math facts with flashcards is beneficial. Also, playing game with the facts is much more interesting to most kids and actually helps commit the facts to memory. ixl.com---Your student has log-on information. Students can use this site at home and school to practice math skills and play math games. everydaymathonline.com---This site supports our math curriculum. On this site, you can play math games, get homework help, and more! 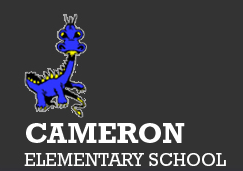 Students have log-in information for this site. Other materials that are available are located in the student bulletin and family letters that are sent home with your child. For each Fundations unit and Everyday Math unit, there is a family letter that is sent home. Please keep these letters to help you and your child with homework and curriculum questions.